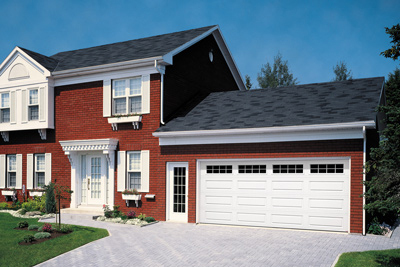 Do you want to build a garage adjoining your new house, a backyard garage or even a shed? Are you wondering what sizes are available on the market? With the wide range of residential products from Garaga, you can buy a door from 4 to 20 feet wide, and from 6 to 8 feet high to the closest inch! 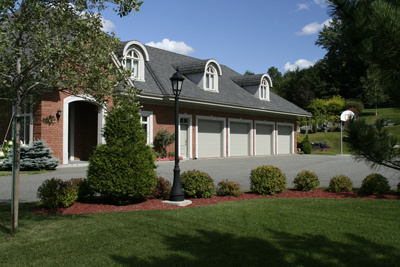 To help you make an “enlightened” choice about choosing your new garage door, contact us! What’s more, we can provide you with a free quotation. Ideal garage size based on the number of cars to park. For a garage attached or detached from your house, around 12 x 22 feet, the width of the most common door is between 8 and 9 feet. As for the height, it’s normally from 7 to 8 feet. However, regarding height, it can go up to 12 feet, for those who might like to park a recreational vehicle (RV). For a shed, the best size for installing a garage door is 8 x 14 feet. Then the garage door would be 6 x 6'6". For a garage attached or detached from your house of around 18 x 24 feet, most popular width for a garage door is 16 feet. As for the height, it is 7 or 8 feet. If you have an RV, the door can go up to 10 feet. Two single doors or one double door? 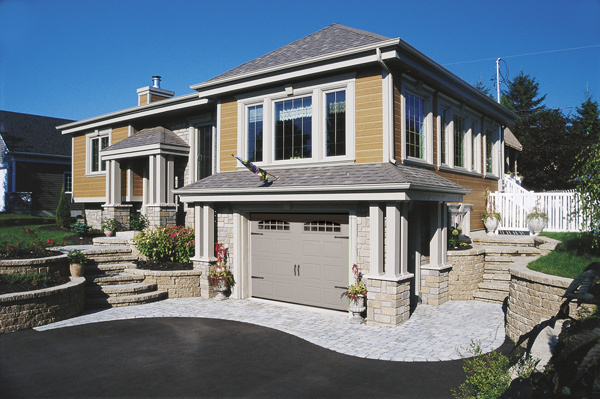 When you have a double garage door and your garage is on the front of your home, the door becomes a major design element. Putting 2 two single doors can lessen the impact of one large door, allowing a nicer balance between the doors and the rest of the house. It is all a question of taste. 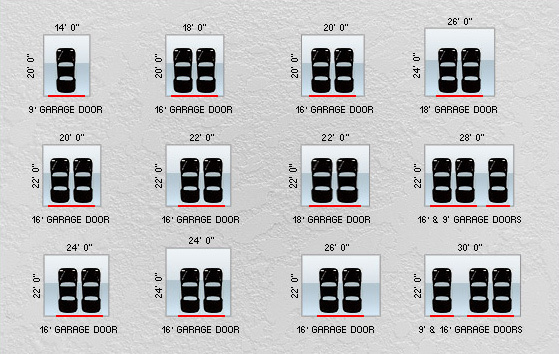 If for one reason or another, your 16-foot garage door cannot open, two cars can be stuck inside the garage. In the same situation but with 2 single garage doors, it would be almost impossible. If you live in a cold climate, a double garage door lets more cold air into the garage than a single door, which drops the temperature of your garage more rapidly. Is the price the same? The price of 2 single doors comes to just about the same as one double door. The difference comes down to if you want to equip both the single doors with an electric opener. Why choose a Garaga door? Garaga can provide residential doors based on the size you need from 4 to 20 feet wide (to the nearest inch), and from 6 to 12 feet high (in one- or three-inch increments), which will save you carpentry costs for preparing the door frame. Garaga doors are also insulated and very weatherproof, providing a thermal resistance value of R-10, 12, or 16. This is extremely practical if you heat your garage. You thus save a considerable amount on your electric bill. Are you ready to get started tomorrow morning?